Airport operations at some of Europe’s busiest airports have the potential to be made even more efficient. 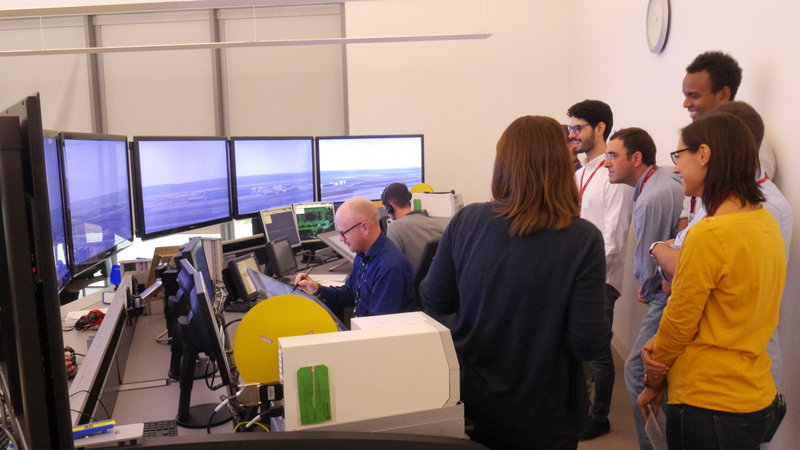 At least that’s what simulations hosted by NATS as part of the European SESAR (Single European Sky Air Traffic Management Research) 2020 programme suggest. With demand for air travel forecast to grow in the coming years, going beyond even the peak levels reached in 2008, new and innovative ways are required to help airports accommodate growing demand and build even greater resilience into their operations. Currently, aircraft on departure are grouped in to broad ‘categories’, for example ‘Heavy’ or ‘Medium’, dependent on the wake vortices – or invisible spirals of air turbulence – they generate. However, this current categorisation means that separations between individual aircraft could be larger than is necessary to ensure safe separation, for example when the smallest aircraft in the ‘Heavy’ category is followed by the largest aircraft in the ‘Medium’ category. The simulations have studied the potential for refining the separations between departing aircraft by switching from these broad categories of aircraft to individual ‘pairwise’ separations, where the safe separation between departing aircraft is calculated based on the wake vortices created by each aircraft type. This builds on work previously undertaken through SESAR 1 focusing on wake vortex optimisation, including research in to pairwise separation for arrivals and the successful deployment of Time-Based Separation (TBS) for aircraft arriving at Heathrow Airport. TBS at Heathrow has already significantly reduced delays caused by strong headwinds. The simulations have also explored how different weather conditions might alter the dissipation of wake vortices, for example when there are strong cross-winds which might help clear the invisible turbulence more quickly, potentially enabling a reduction in safe separations in certain conditions. 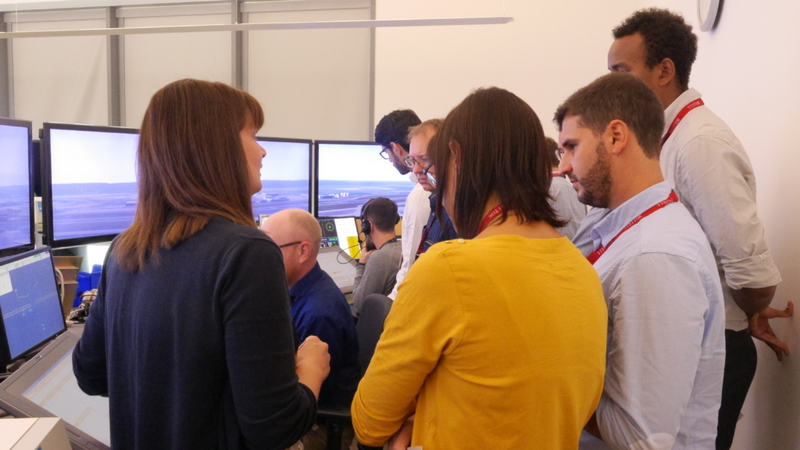 The simulations focused on how this might be applied at London Heathrow Airport but also have the potential to be replicated at other busy airports across Europe, such as Paris CDG and Barcelona el Prat. 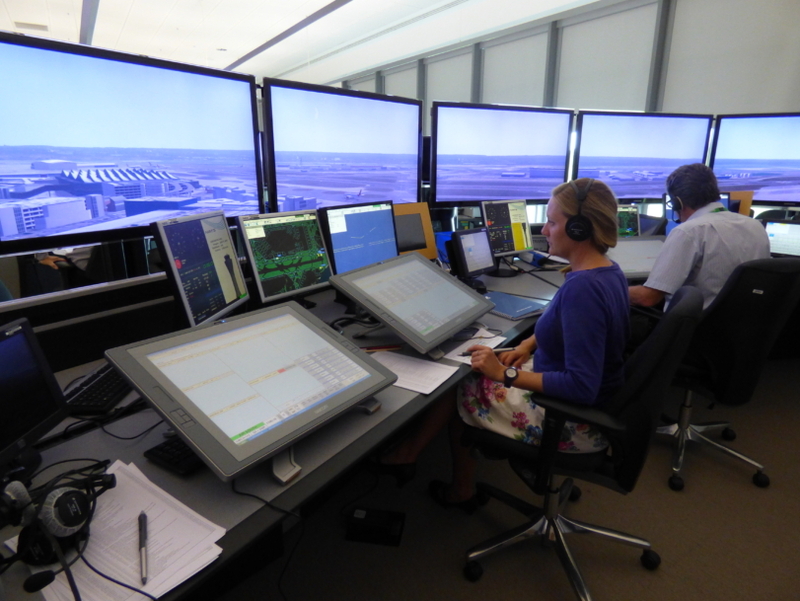 The simulations form part of the ‘Increased Runway and Airport Throughput’ element of the SESAR 2020 programme, which is the second phase of the major public-private European Research and Development initiative designed to modernise Europe’s airspace management in order to safely manage forecast growth. The ‘Increased Runway and Airport Throughput’ project brings together a number of organisations, including Eurocontrol; the Spanish and French Air Navigation Service Provider (ANSP) ENAIRE and DSNA; COOPANS – an international partnership of the ANSPs of Austria, Croatia, Denmark, Ireland and Sweden; airport consortium SEAC; aircraft manufacturer Airbus; system suppliers Indra, Thales, Leonardo and research organisation AT-One. Further simulations are planned by other members of the project throughout 2017 and 2018.